Wonderful colonial ready for you to just move in and call home! 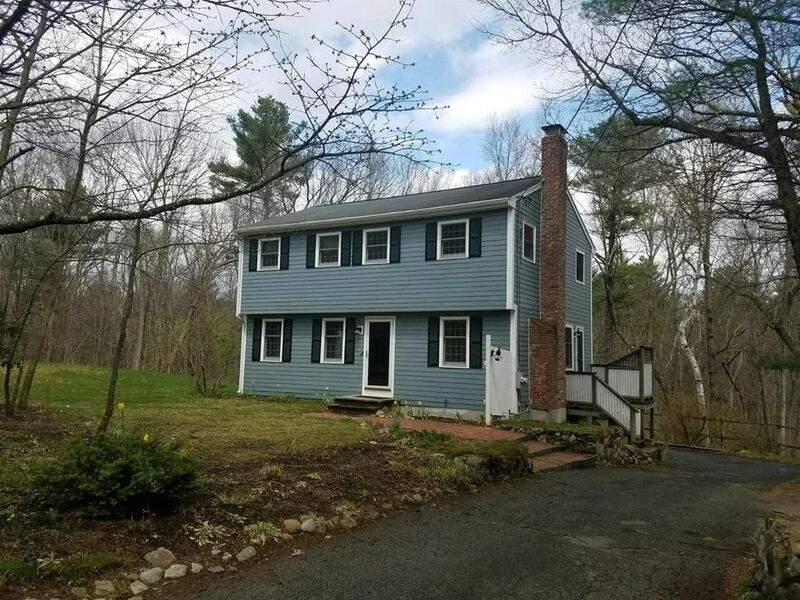 Situated on over 1 acres and close to conservation land, walking trails, and major commuter routes, this home offers a versatile floor plan with 4 bedrooms plus a home office and/or in-law/au pair suite. With just a few finishing touches to the basement, you could easily add an exercise space, media room, or kids play area. Gaze out the bay window into the private, wooded backyard while you sip your morning coffee. Part of the Acton-Boxborough School District, which is consistently rated as one of the tops in the state. Tons of updates throughout, including granite countertops in the kitchen, new first floor full bath, new water heater and efficient gas furnace, new carpeting in family room and freshly finished hardwood floors throughout the house. Don't miss out on this one!